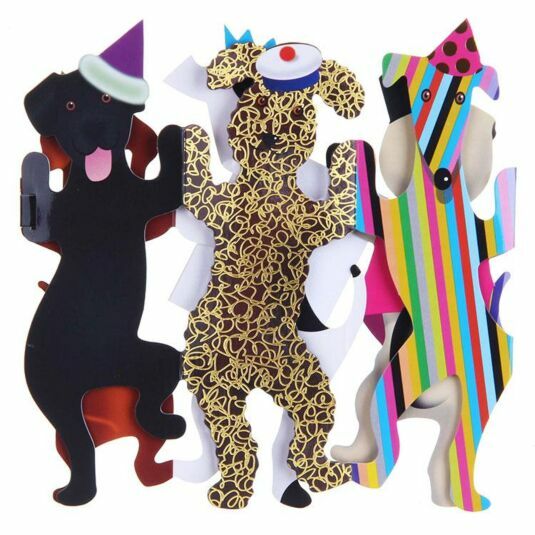 This beautiful and unique greeting card features a group of party dogs holding paws, and will take pride of place displayed on any shelf. 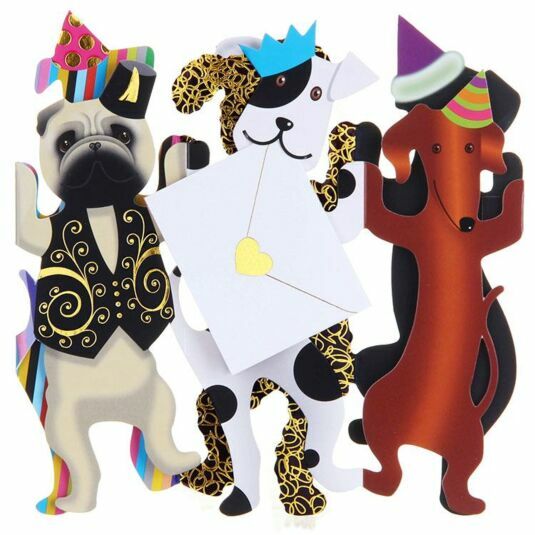 It comes complete with a small gold edged card for you to write your own special message, which fits nicely inside one of the dog's mouths. The card comes with a white envelope and a stiffening card.